Anthony DiMonte is Head of Corporate & Business Transactions and a Partner at ADLI Law Group. His practice primarily focuses on mergers and acquisitions, complex business transactions, regulatory compliance, corporate and civil litigation. 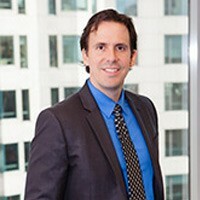 With over 19 years of experience in the legal profession, Mr. DiMonte utilizes his trial experience and skills to advise and counsel corporate and entrepreneurial individuals in business sales and acquisitions, commercial transactions, corporate governance and compliance and corporate and civil litigation. Prior to joining ADLI Law Group, Mr. DiMonte was a Senior Counsel at the Law Offices of Virgil L. Roth, PC. During such time, he served as outside General Counsel and M&A counsel for domestic and international business entities and private investment and capital groups, which included negotiating and documenting purchase, sale and merger agreements and dissolutions, corporate contracts related to licensing, executive employment agreements, corporate governance, acquisition, vendor contracting, leasing and real estate property matters, and advising on loss mitigation and compliance issues. Many of Mr. DiMonte’s clients are active providers, vendors and care facilities in the Healthcare Industry. He also prosecutes and defends commercial claims in all counties of Southern California and Bay Area, including jury and bench trail matters in California State and Federal Courts. Mr. DiMonte graduated from University of Illinois at Urbana-Champaign, Illinois with a Bachelor’s of Arts in History and obtained his Juris Doctor degree from Chicago-Kent College of Law in Chicago, Illinois. He is also an Adjunct Professor at Pepperdine University School of Law, and is an active member of the California Association of Health Facilities (CAHF). Mr. DiMonte is committed to helping clients and providing them efficient and effective representation to resolve all complex business-transactional, regulatory compliance, corporate and civil litigation matters in a manner that is both expeditious and sensitive to the needs of modern investors, principals, and entrepreneurs.